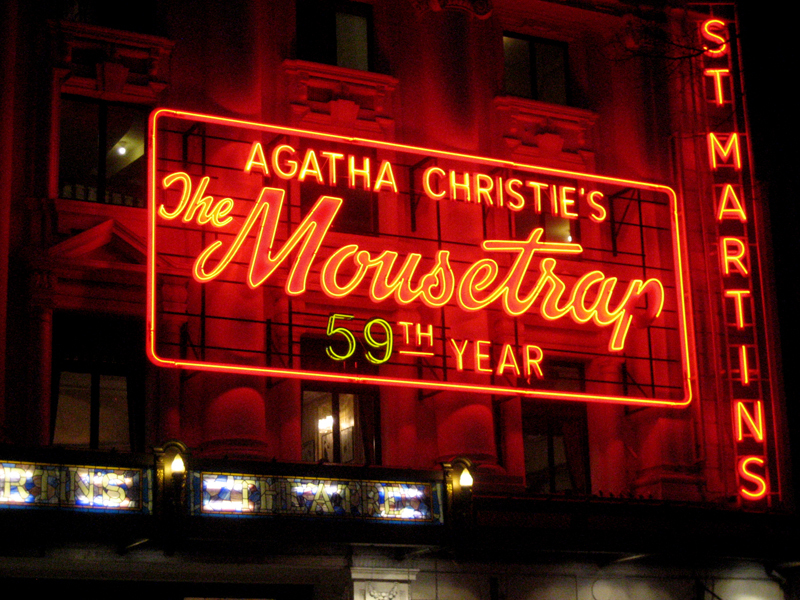 This is a repeated, random sequence of projected photographs of The Mousetrap sign, in various broken constellations. 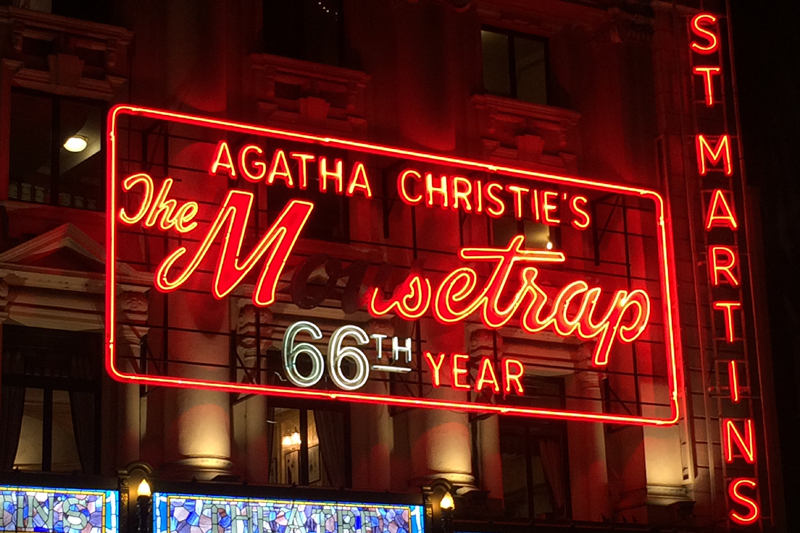 I have been photographing this sign whenever it was broken since the play was in its 53rd year. 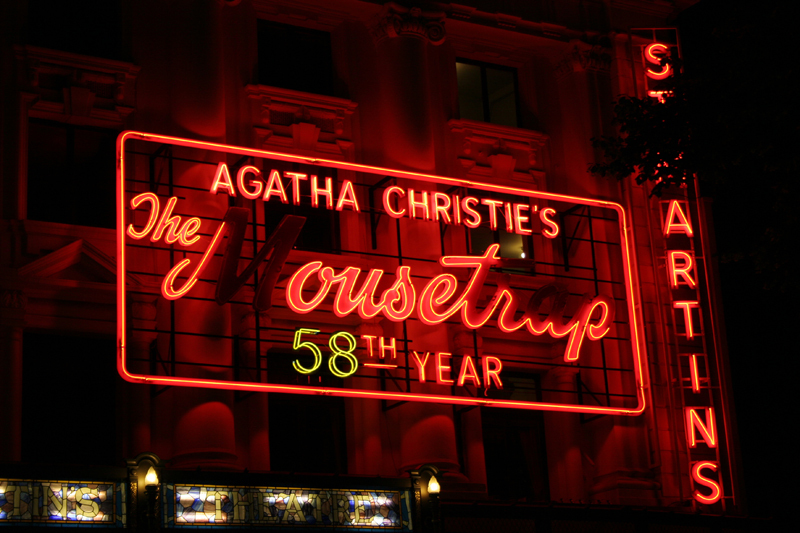 It is now in its 66th year and I have 71 photographs. 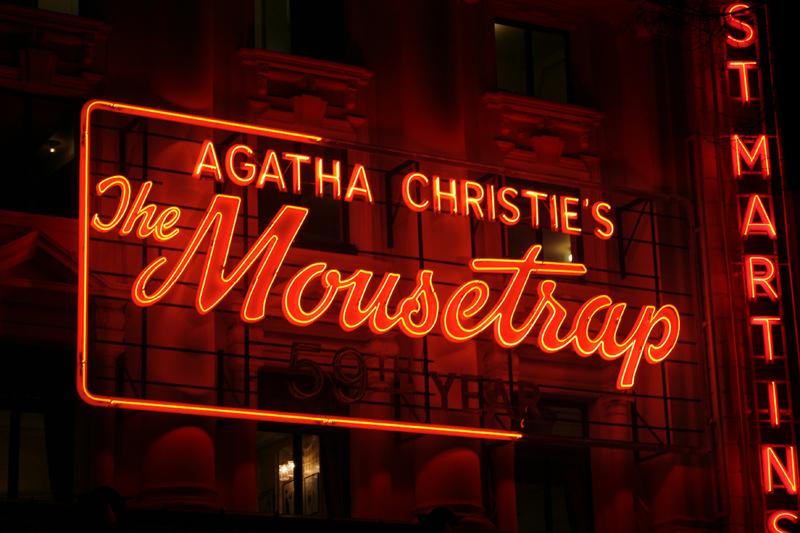 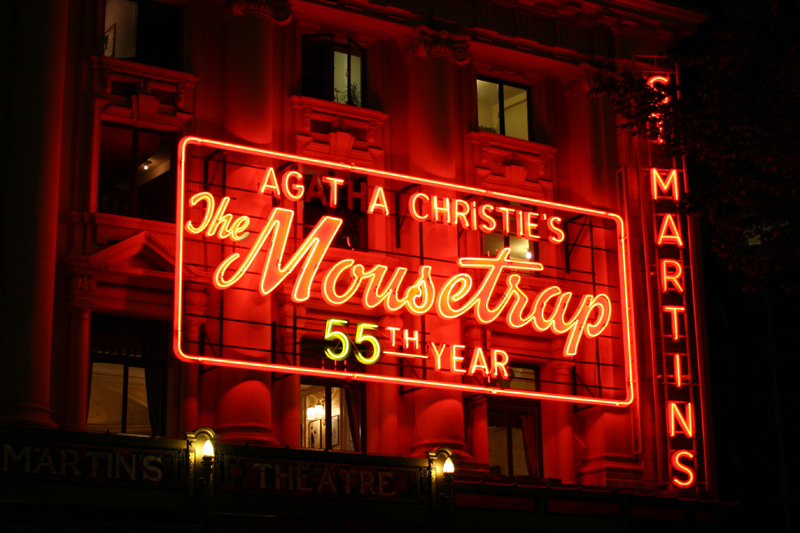 The Mousetrap is the world's longest running play and this piece will continue as long as the play is running.